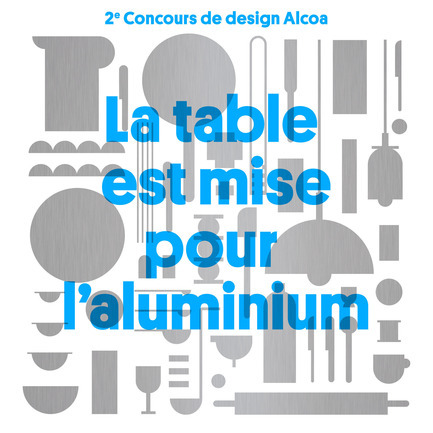 Montreal, Canada, 24-05-2012 - Alcoa Canada Primary Products Group challenges Quebec industrial designers to imagine an innovative product for the kitchen or table that highlights the longevity, durability and nobility of aluminum. 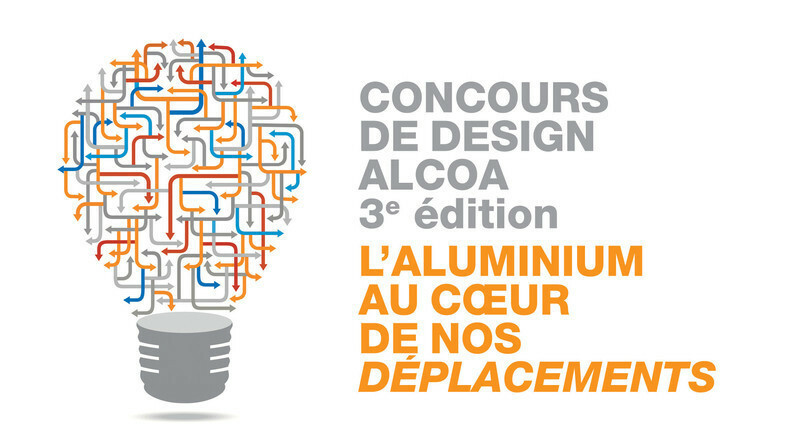 Design professionals are indeed invited to rise to the challenge within the framework of the Setting the table for aluminum contest which is being organized in cooperation with Association des designers industriels du Québec (ADIQ) and Quebec’s Ministry of Economic Development, Innovation and Export Trade (MDEIE). 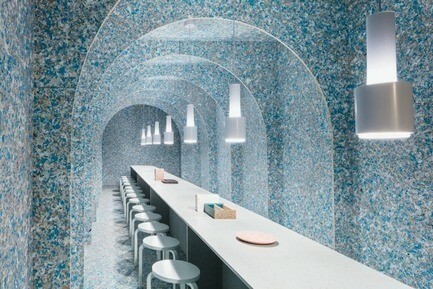 The table is therefore being set for a utilitarian product made of aluminum for an indoor or outdoor kitchen or dining area, for ideas as diverse as inspirational culinary tools or utensils, inventive lighting fixtures, imaginative accessories or pieces of furniture replete with an element of surprise! 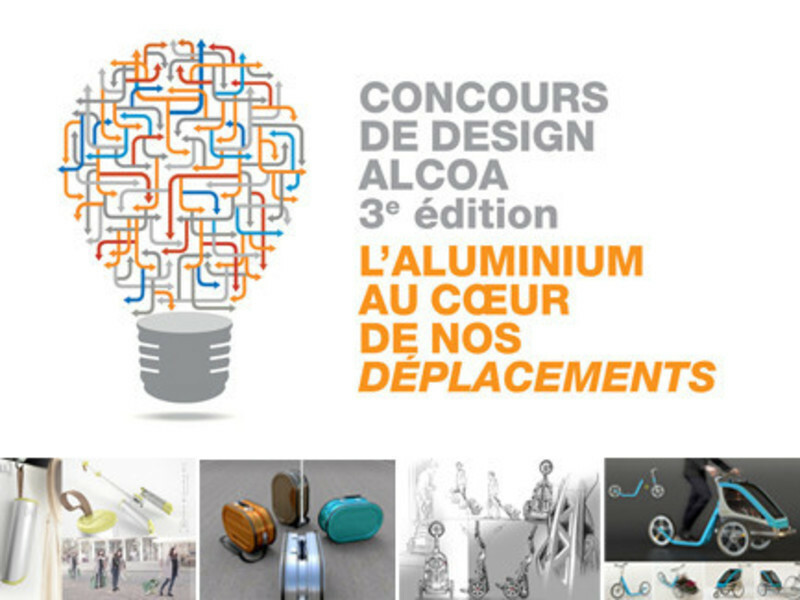 Alcoa will award each of the five finalists selected an amount of $5,000 to produce and present a design sketch of their concept. 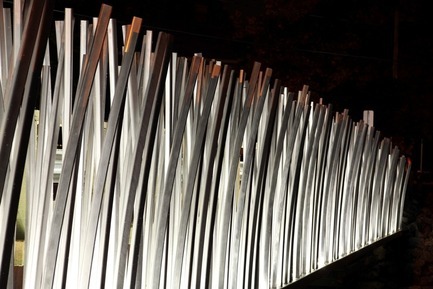 A grand prize valued at $25,000 will be awarded the designer laureate. 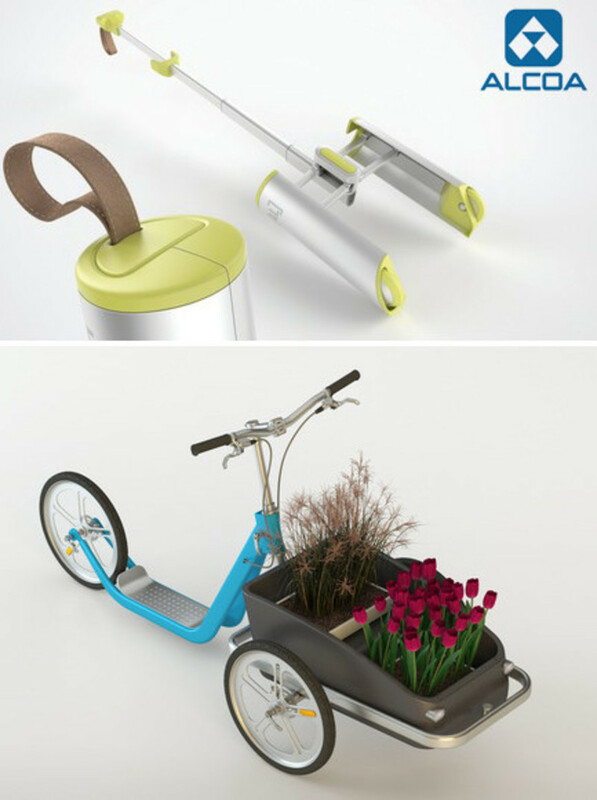 Setting the table for aluminum was officially launched on May 24th at the 24th Montréal International Design Show (SIDIM). François Racine, Director, Business Development with Alcoa Canada addressed the invited guests and underscored the innovative character of the initiative which seeks to enhance the domestic use of aluminum while showcasing the creative genius of Quebec designers. 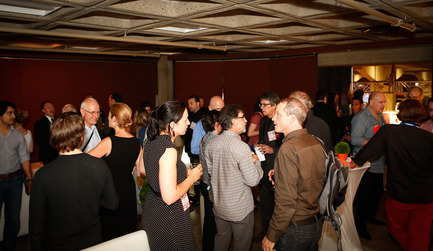 Valérie St-Laurent, Executive Director of the Association of Industrial Designers of Quebec urged industrial design professionals from across Quebec to rise to the challenge in large numbers. 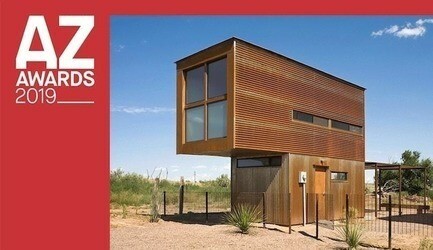 Readers will note that this is the second edition of Alcoa’s aluminum innovations for the home design contest. 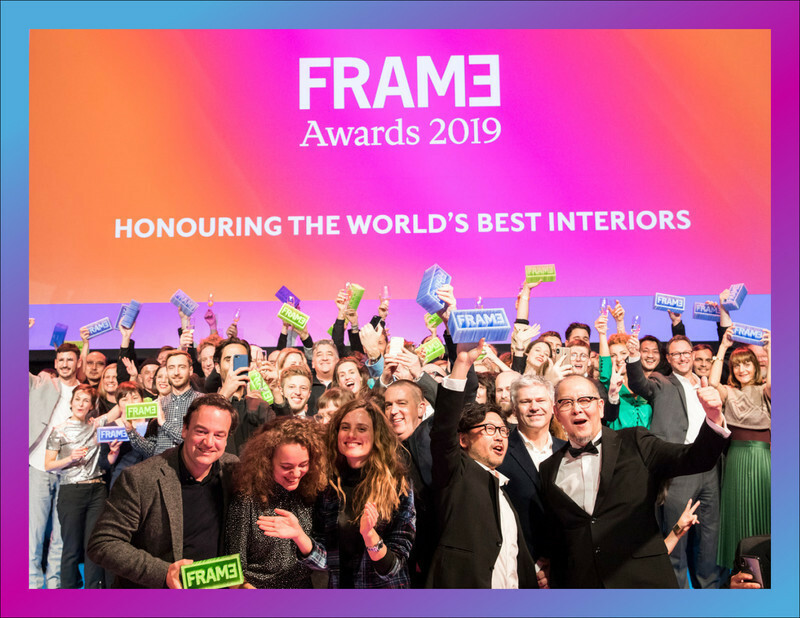 Designer laureates of the contest’s inaugural 2009 edition were Charles Godbout, of Topo Design, and Luc Plante who took top honours for their Sésame interior door concept. Quebecers’ notable interest in gastronomy and the arts of the table is stylishly displayed in kitchens and dining areas across the province. Ever more welcoming, communicative and attractive, these rooms have become the hearts of the home par excellence where family and friends eagerly gather. 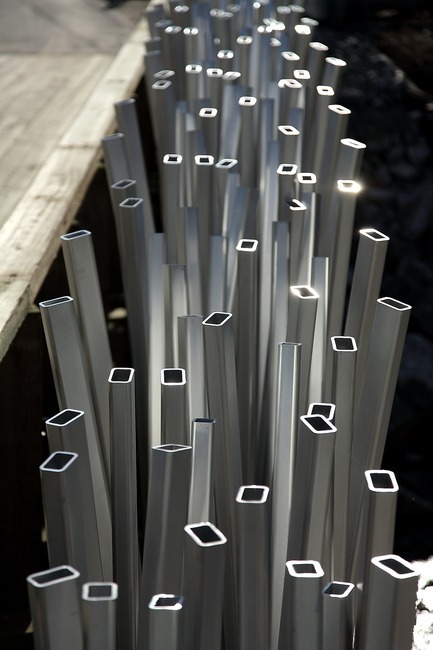 Prized by design aficionados, aluminum adds a distinctively contemporary note to any interior décor while offering myriad possibilities for enhancing the pleasures of the table. This lightweight, versatile, resistant and eco-friendly material lends itself perfectly to all manner of fanciful designs! 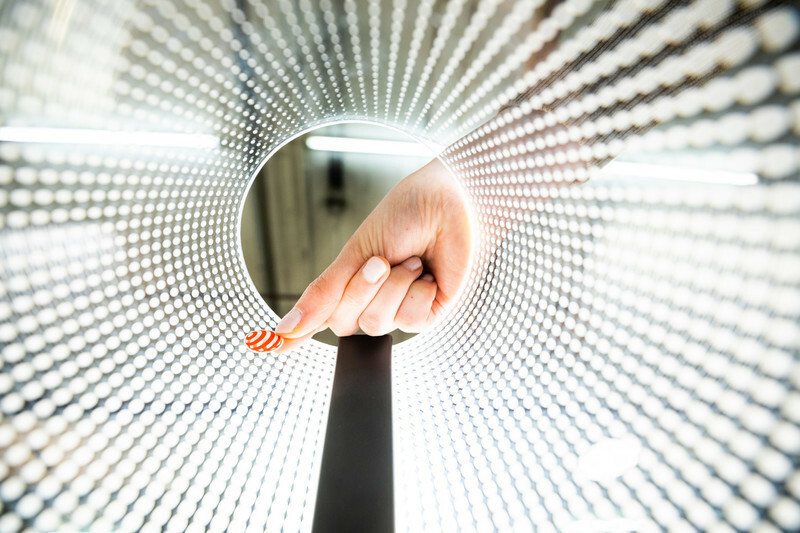 For this year’s second edition of the contest, designers are being asked to propose novel, functional objects made mostly of aluminum and designed for the world of the table. 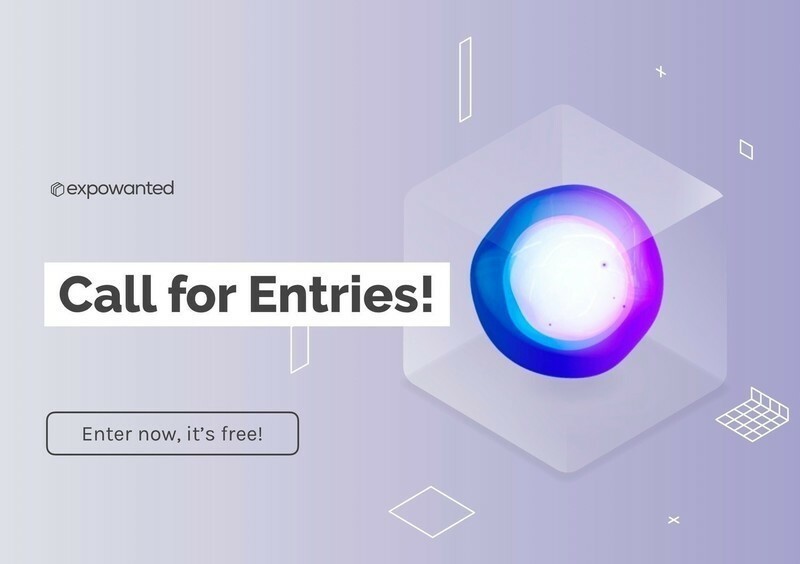 Concepts are to be presented anonymously and must be aesthetically pleasing, easy to manufacture, functionally brilliant and ripe with market potential. 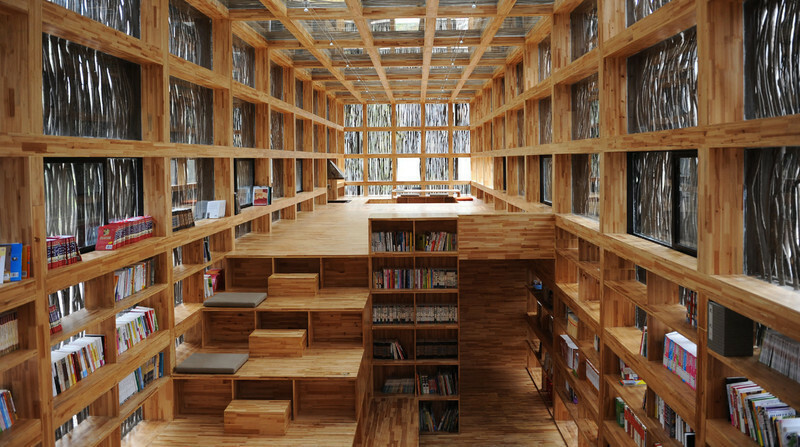 They must also incorporate the principles of sustainable design. 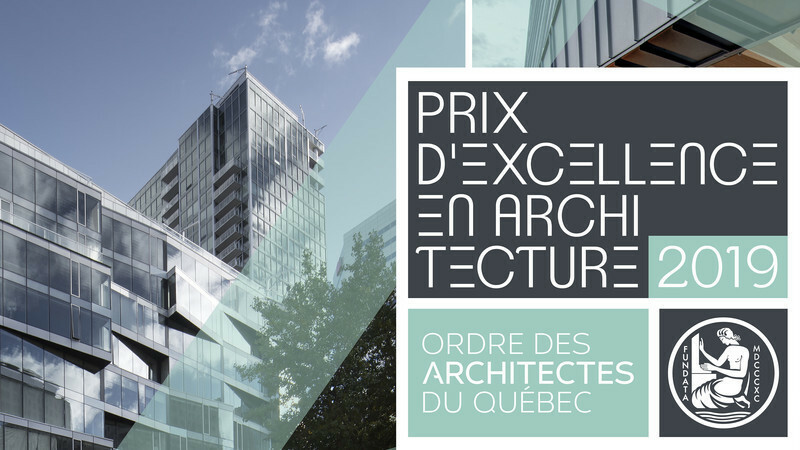 Designers will have until June 20th to submit their Phase 1 bids which will then be evaluated by an independent panel of judges comprising: Ginette Gadoury, President and Co-founder of SIDIM; Charles Godbout, Industrial Designer and President of Topo Design; François Racine, Director, Business Development with Alcoa Canada Primary Products Group; Madeleine de Villers, Industrial Designer, President and Founder of Zone; as well as Mélanie Blanchette and François Nadon, owners of Bouillon Bilk restaurant. Bear in mind that the contest is open only to ADIQ members, whether certified professionals, teaching professionals or members emeritus. 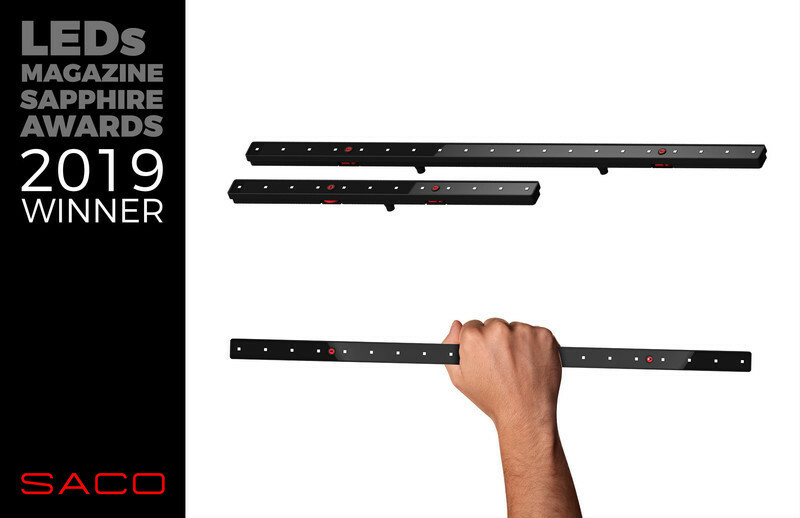 The five finalists and their concepts will be revealed to the public on October 16th 2012 on the occasion of the annual general meeting of Mission Design. (www.adiq.ca), or log on to ADIQ’s Facebook page (www.facebook.com/adiquebec). 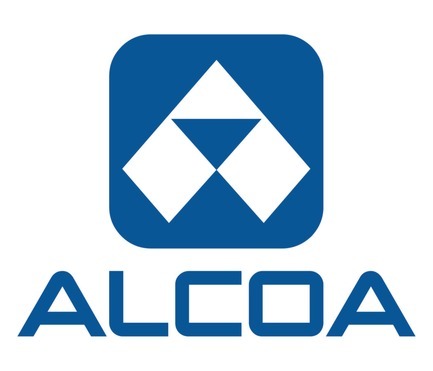 In Quebec, Alcoa Canada Global Primary Products (GPP Canada) comprises of the Baie-Comeau, Deschambault and Bécancour smelters, as well as of the Bécancour Rod Plant. These four plants have an annual production capacity of over one million metric tons of ingots, castings, billets and aluminum rods. 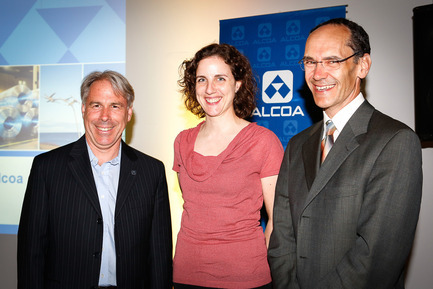 Alcoa counts approximately 3,200 employees in Quebec and its activities generate more than $1.3 billion in economic spin-offs annually in the province. Further information is available at www.alcoa.com/canada. 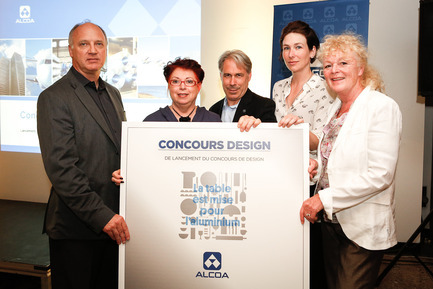 Cocktail de lancement du Concours de design Alcoa au SIDIM, 24 mai 2012. Membres du jury, de gauche à droite : M. Charles Godbout, designer industriel, président de Topo Design ; Mme Ginette Gadoury, présidente et cofondatrice du SIDIM ; M. François Racine, directeur, développement des affaires, Alcoa Canada Groupe Produits primaires ; Mélanie Blanchette, propriétaire du restaurant Bouillon Bilk et Mme Madeleine de Villers, designer industriel, présidente et fondatrice de Zone. 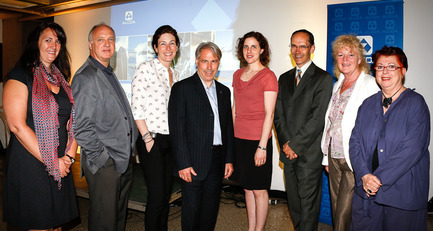 Photo de groupe : Véronique Rioux, conseillère professionnelle et designer industriel, ADIQ; M. Charles Godbout, designer industriel, président de Topo Design ; Mélanie Blanchette, propriétaire du restaurant Bouillon Bilk; M. François Racine, directeur, développement des affaires, Alcoa Canada Groupe Produits primaires ; Mme Valérie St-Laurent, directrice générale de l’Association des designers industriels du Québec; M. Denis Audibert, Coordonnateur design industriel, Ministère du Développement économique de l'Innovation et de l'Exportation, Mme Madeleine de Villers, designer industriel, présidente et fondatrice de Zone et Mme Ginette Gadoury, présidente et cofondatrice du SIDIM. Partenaires, de gauche à droite : M. François Racine, directeur, développement des affaires, Alcoa Canada Groupe Produits primaires, Mme Valérie St-Laurent, directrice générale de l’Association des designers industriels du Québec et M. Denis Audibert, Coordonnateur design industriel, Ministère du Développement économique de l'Innovation et de l'Exportation. 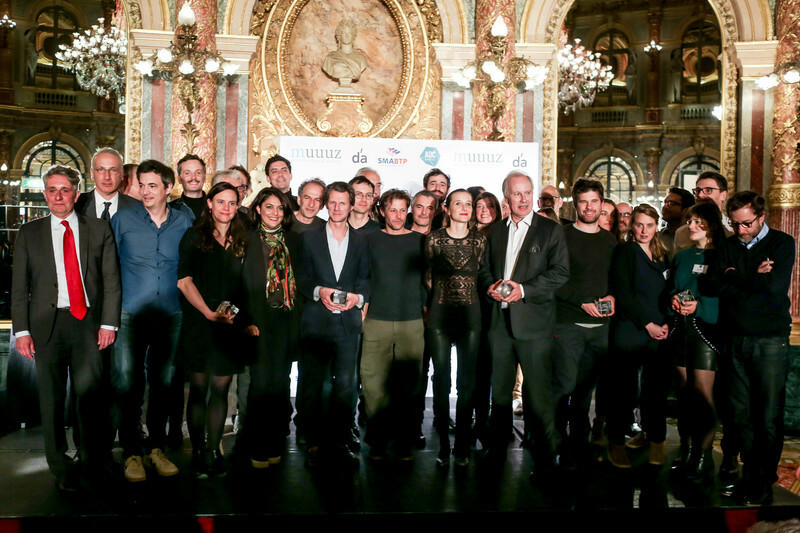 La table est mise pour la grande finale!